Would you like to rent your apartment on Airbnb? In Amsterdam, it is called vacation rental or “vakantieverhuur” in Dutch and specific rules apply. In 2018 you can rent out your property via Airbnb for a maximum of 60 days per year. From January 1st, 2019, this number will be reduced to 30 days per year. Amsterdam municipality introduced a new rule on 1st October 2017. Every time prior to renting your property for a short-term stay, you are obligated to report it using this online form. Make sure you do so before you let the property since you will not be able to do it in retrospect. You will be asked to log in using your DigiD. In case you do not have your DigiD yet, use the following link to apply. You can rent to a maximum of 4 people per night, and you must take all measures possible to prevent any disturbances. Make sure you have permission from your association of owners (VVE) and from your landlord in case you rent. In some cases, the rules for Airbnb are set in general rules of your home association or in a “splitsingsakte”. You must take measures to fireproof your home, and in case you rent more apartments at the same time in one building, other rules apply. 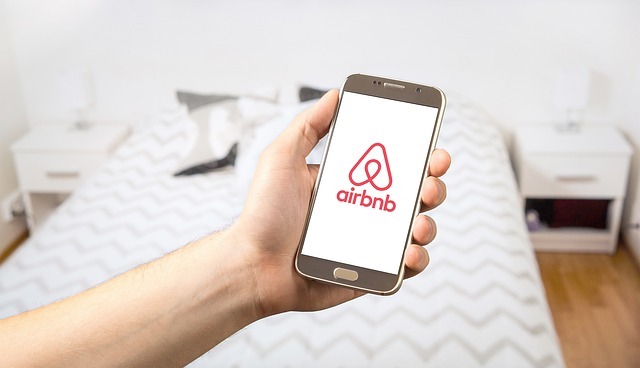 If you forget to report to the municipality before you rent your property via Airbnb, or you do not report it at all, you risk a fine that starts at € 6000 and might go as high as € 25,000. In case there is any disturbance caused by your guests, your neighbours can call the municipality to make a complaint against you. We suggest you inform them upfront about your plans and give them a number where they can contact you in the event of any problems. If you generate income from vacation rentals, there are two main tax implications; tourist tax and income tax. In Amsterdam, you are obligated to pay a percentage of the money you charge guests per night in the form of a tourist tax. In 2018 it is 6% in Amsterdam. You can add this amount to the total bill to your guests. In case you plan to rent your property on Airbnb, use the following link to inform the municipality. You only have to use this form once at the beginning of the year. Every year you will receive a letter in March asking you to make a declaration of tourist tax for the past year. All earnings from Airbnb should be declared in your income tax return. The rule is 70% of the profit you make from short-term renting of your home should be filed under the category income from temporary renting or “inkomsten uit tijdelijke verhuur” in Dutch. You can deduct all expenses you incurred while renting such as costs for gas, advertisements or cleaning. Do you have any questions about this article? Get in touch!